One has to wonder whether or not Agency.com's Subway Video fiasco might not have turned out better if they took this tack when they did their man on the street interviews. At least they might not have offended that Amish guy Hassidic Jew. Oh wait, it wasn't the interviews that did it. They crucified themselves but whatever. Adrants reader Nicholas Hall points out Will McKinley likes to go to Subway but he only goes for the Diet Coke. It's his "delivery method of choice for the precious elixir caffeine." He hates the food but loves to go to various Subway's throughout New York for his caffeine needs. The other day, as he was leaving a Subway, he was approached by a guy with a video camera and a microphone who wanted to talk to Will about his Subway experiences. Will offered that he might not be the best guy to talk to as he has no love for the place but the guy, undeterred, offered Will $5 and said, "I'll pay you $5 to say something good." So Will thought for a second, said sure, and decided to lie about hw much he loved Subway. Score one for that marketing organization. Will didn't stop there. When asked his favorite thing about Subway, Will invented a new tagline for the place, "Subway is healthy, fast and cheap. Just how I like my women." Excuse me, but that was not me. That was a Hassidic Jew. 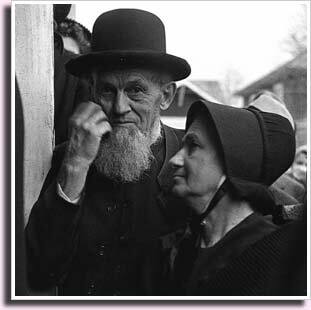 Your insensitivity to other cultures is alarming....I know - I know - some of your best friends are Amish, right? How do I put this tactfully? It was a tack, not a tact, that Agency.com took. what a bunch of self-fulfilling, useless crap! i never knew agency.com was so desparate to win business. and SUBWAY? they tend to go through agencies like a fat kid goes through candy. sounds like they're perfect for each other.